Social workers, teachers, counsellors, therapists, parents: here is an empowering, simple and fun way to measure change and notice progress with your clients, students, groups, teams, families and communities. From its humble origins as a set of printed paper pads, this classic resource is now available in a handy digital format! 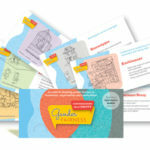 The Scaling Kit DVD features 10 web-based, interactive scaling masters with moveable components and text bubbles – and, of course, a booklet of suggestions. You can open up one or more of the scaling masters on your computer and simply print it out for the client to write on. Or you can explore the digital interactivity of each scale with your client by opening the master(s) on your computer or ipad, and shifting the scale’s moveable component to where the client indicates they are at. Once you or your client have marked a rating point on screen, a permanent record can be made by printing the scale to show the user’s choice. Scales can also be personalised to each individual or session using the text bubble, where such things as plans, comments and goals can be typed. From goal-setting to building skills, from changes in behaviour or mood to evaluation, visual scaling is one of the most powerful ways to measure change. NB: No internet connection is needed to operate this resource, but a browser program is required, such as Internet Explorer or Google Chrome. 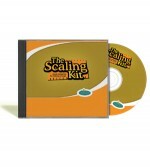 Innovative Resources has developed a web-based version of The Scaling Kit. You will need internet connection to access it, but has lots of bells and whistles. Single DVD containing: 10 web-browser based, interactive scaling masters and booklet of suggested uses. ‘The Tank Scale: A story,’ The Serious Optimist, no. 33, 2007. I love the water tank scale with its ripply, corrugated iron sides, because it’s so versatile and topical. It’s a metaphor for capacity; for confidence, knowledge, hope, motivation. It provides the framework for wonderful therapeutic conversations. And what’s more, it can be fun and memorable. A grandmother, let’s call her Marie, was raising her 15-year-old granddaughter. She and I engaged in a great conversation using the tank metaphor. A lot was happening for Marie and her family, but we were focusing on how secure she felt about letting her granddaughter, Jodie, join her friends in their social activities. Jodie always rang to say where she was. She knew one of the other parents and thought this parent would make sound judgements about what her own daughter could do. She felt Jodie was a fairly cautious kid who had seen a lot of bad things happen in her life. and when she knew who Jodie was with. We noticed how normal all these ‘draining’ thoughts were, and then set about thinking how she could create more opportunities for the positive inflow influences to happen. We talked about how she could take more control over how often and how far the outflow tap was turned on. We came up with some simple plans and we acknowledged that unless there was a constant inflow and outflow of water, the tank could become stagnant. Turning on the tap and draining water out of the tank was important for making decisions about degrees of risk. 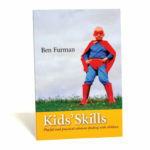 Knowing how to create an inflow gave a top-up of motivation, as well as courage and confidence. ‘Reflexions from a secondary school,’ The Serious Optimist, no. 35, 2008. I had the pleasure of being invited into a classroom to witness some great resources in action. Year 8 Geography students had been researching sustainability. Their mentor, Gail Koehler, chose the ‘water tank’ from Innovative Resources’ The Scaling Kit as a reflection activity. Students used the tank to assess the quality of their sustainability assignments. Factors that strengthened their work were indicated on the inlet pipe. Factors that drained its quality were indicated on the outlet tap. Gail then scattered the magnificent Reflexions cards. Students selected cards to indicate their feelings about how our society is addressing—or failing to address—the issues around climate change and sustainability. These young people were drawn into a reflective mindset that helped make sense of their research and contextualise it within current society. The class finished with a fierce debate about our environmental responsibilities. Gail and I said little. We had created a space where imagination and openness flowed. Instead of drowning our students in a sea of information we allowed them to creatively consolidate what they had learned. These young people left the room still deep in conversation, still reflecting and still engaging in the learning process—voluntarily.